Superman is back on the big screen right now, battling the Dark Knight in Batman v Superman: Dawn of Justice. But this blockbuster clash of comic book titans might never have happened if not for the success of Richard Donner’s Superman: The Movie (1978). Today, comic book movies are ubiquitous, but in the 1970s they were an untested gamble. To make Superman, a trio of ambitious producers teamed up with a talented director, a great cast, and an unprecedented special effects team to create something unlike anything anyone had ever seen on the big screen before. The result was a storied, often tense, filmmaking experience. So, to celebrate the return of the Man of Steel to the big screen, let’s look at 16 facts about his first blockbuster. 1. IT BEGAN PRODUCTION WITHOUT A STUDIO. When producers Ilya and Alexander Salkind first got the idea to make a film based on the Superman comic book, they started cobbling together financing for the production, but had no distributor. Eventually, they were able to convince Warner Bros. to take on U.S. distribution rights, but under what’s known as a “negative pickup” deal, meaning that the studio wasn’t actually required to help fund the movie. The burden was on the Salkinds to make the picture appealing to the studio, so the financial risk was massive. 2. THE ORIGINAL DIRECTOR HAD TO LEAVE THE PRODUCTION. The Salkinds considered several directors, including Sam Peckinpah (The Wild Bunch) and William Friedkin (The Exorcist) to helm the production, but ultimately decided on Guy Hamilton, who was best known at the time for directing James Bond films like 1974’s The Man with the Golden Gun. Hamilton took the job, and the production planned to shoot in Rome. When it became clear that it would actually be cheaper to move the shoot to England, a problem arose: Hamilton was an English “tax exile,” meaning he could only be the United Kingdom for 60 days out of each year. Because the production was likely to take longer than that, Hamilton had to drop out, and the search for a new director began. 3. RICHARD DONNER TOOK THE JOB WHILE ON THE TOILET. Desperate to find a new director, the Salkinds turned to Richard Donner, who was riding high after the success of The Omen (1976). According to Donner, he was actually sitting on the toilet when he got the call from Alexander Salkind offering him the chance to shoot Superman and Superman II back-to-back. “I’m making Superman. I don’t have a director and I’ll pay you a million dollars,” Salkind said. “A million dollars! That was like saying ‘I’ll give you all the tea in China,’” Donner recalled. Donner agreed to see the script, which would present its own set of challenges. 4. THE ORIGINAL SCRIPT WAS 500 PAGES LONG, AND DONNER HATED IT. When the Salkinds began the project, they wanted a high-profile writer to boost the film’s profile, and decided on The Godfather author Mario Puzo. After spending some time with editors and DC Comics to familiarize himself with Superman lore, Puzo got to work and produced a massive script spanning two films and 500 pages. The script was later rewritten by David and Leslie Newman and Robert Benton. When Donner joined the film, which Alexander Salkind had assured him was “perfect,” he demanded rewrites. To “defend” Superman, Donner called in his friend Tom Mankiewicz (Live and Let Die), and the two began reshaping the story. To further boost the film’s profile, the Salkinds went after major stars for key supporting roles, and pursued Marlon Brando for the role of Superman’s father, Jor-El. Donner, Mankiewicz, and Ilya Salkind flew to Brando’s Los Angeles home to meet with him. Before he met the actor, Donner asked famed Hollywood agent Jay Kanter for any negotiating hints, at which point he learned that Brando was going to attempt to do as little work as possible. “And he said, ‘He's going to want play it like a green suitcase.’ I said, ‘What does that mean?’ ‘It means he hates to work and he loves money, so if he can talk you into the fact that the people on Krypton look like green suitcases and you only photograph green suitcases, he'll get paid just to do the voiceover. That’s the way his mind works.’ I said, ‘F*ck,’ and then I called Francis Coppola. He said, ‘He’s brilliant. He's got a brilliant mind. But he loves to talk. Keep him talking, and he'll talk himself out of any problem,’” Donner recalled. When the director actually met with Brando, the actor proposed that he played Jor-El not as a green suitcase, but as a “bagel.” Brando reasoned that no one knows what the people on Krypton look like, but that Jor-El would know what people on Earth look like, and would therefore make his son look human so he could blend in. Mankiewicz even recalled that, at one point, Brando pitched the idea that maybe Kryptonians don’t even talk. They simply make electronic sounds that are translated through subtitles. Fighting to secure his star, Donner invoked Superman’s long comic book history. Brando was paid $4 million to play Jor-El, a massive sum for only a few scenes. 6. EVERY MAJOR STAR OF THE DAY WAS SEEMINGLY CONSIDERED FOR THE TITLE ROLE. In order to secure the rights to adapt the comic book, the Salkinds had to bow to certain demands from DC Comics, and the publisher ultimately sent along a list of “approved” actors who were allowed to play Superman. The list was far-reaching, and basically included every major star of the time. Among the names on the list: Dustin Hoffman, Al Pacino, Steve McQueen, Robert Redford, Paul Newman, and Muhammad Ali. 7. RICHARD DONNER WANTED TO CAST AN UNKNOWN AS SUPERMAN. The Salkinds, hoping to land a major movie star in the title role, offered Superman to Paul Newman and Robert Redford, who both turned it down. The Salkinds also booked a meeting between Donner and Sylvester Stallone, who was hot at the time because of Rocky. “I tried to be nice and say, ‘This is wrong,’” Donner said. Believing that a movie star in Superman’s costume wouldn’t be believable, because audiences would only see the movie star and not the character, Donner lobbied hard for an unknown. He eventually found his man in Christopher Reeve, who impressed the director with his theater work. 8. CHRISTOPHER REEVE GAINED NEARLY 50 POUNDS TO PLAY THE ROLE. Though he was impressed by Reeve’s acting ability, and believed he had the right face to be Superman, Donner was concerned about the actor’s size. Superman had to be muscular and really fill out the costume, and at the time they, met Reeve was 6’5” and weighed only 170 pounds. Donner was skeptical, but Reeve assured him that he’d been muscular before and could be muscular again. To help Reeve get into shape, the production turned to bodybuilder David Prowse (best known in film as the man in the Darth Vader costume for the original Star Wars trilogy), and asked him to put as much muscle on Reeve as he could in the span of about six weeks. According to Prowse, Reeve weighed about 212 pounds when he started production. 9. MARGOT KIDDER’S CLUMSINESS WON HER THE LOIS LANE ROLE. For the role of Lois Lane, several actresses—including Lesley Ann Warren and Anne Archer—were considered, but Margot Kidder ultimately won the role by simply being herself. To compound Kidder’s clumsy, silly side even further, an eye injury meant that she had to act without contact lenses one day. Donner was so charmed by the way it made Lois bump into things and widen her eyes that he made sure Kidder continued to play the role without her contacts. 10. THE ORIGINAL PERRY WHITE WAS REPLACED DAYS BEFORE SHOOTING. For the role of Perry White, the editor of the Daily Planet, Donner cast legendary character actor Keenan Wynn, but almost immediately after his arrival in London for shooting, Wynn had a heart attack. Desperate to find an actor in time to keep the production on schedule, Donner and Mankiewicz made a list of possible names, and just made calls until someone answered the phone. Jackie Cooper picked up, and ended up playing the character all the way through 1987’s Superman IV: The Quest for Peace. 11. THE KRYPTONIAN COSTUMES COULDN’T BE TOUCHED BY BARE HANDS. For the scenes on Krypton, costume designer Yvonne Blake wanted costumes that reflected some kind of “energy,” and ultimately decided to craft the suits from material traditionally used on movie screens “made out of miniscule balls of glass.” The glowing effect the material produced was fantastic, but because of its delicate nature, the crew could only touch it while wearing cotton gloves. “Any time the material was touched by hand it would lose its reflective quality,” Blake said. 12. THE CREW CRIED WHEN SUPERMAN FLEW FOR THE FIRST TIME. Perhaps the biggest challenge in making Superman was creating a convincing special effect that would allow Superman to fly. Donner was adamant that old, crude methods of flying on camera (like the ones used in the Superman TV series) could not be used. It had to feel authentic, and that meant the special effects team had to essentially invent new methods of onscreen flight. Finally, optics expert Zoran Perisic designed a system that used two zoom lenses interacting with each other to create a flight effect. “Christopher Reeve would be basically in one place, on a pole arm … that you don’t see, and all he does is sort of make the moves, and it’s the camera and the projector that make him look like he comes straight up,” Perisic said. According to Donner, crew members actually cried the first time they saw Reeve take flight. 13. THE PRODUCTION WAS CHAOTIC. The Salkinds’ plan was always for two Superman films to be shot simultaneously, but because of the immense number of sets and effects needed to achieve that, Donner had to break the filming up into manageable pieces. To make it all work, seven different shooting units were filming at the same time, with Donner driving back and forth between them on a golf cart. 14. DONNER AND THE SALKINDS CONSTANTLY FOUGHT OVER THE BUDGET. As production on both films continued, tension developed between Donner, the Salkinds, and producer Pierre Spengler. Donner was attempting an unprecedented comic book movie feat, and according to him, the producers constantly urged him to spend less while never actually telling him what he was allowed to spend. The Salkinds always claimed the film was over schedule and over budget, while Donner claims that he never actually had a schedule or a budget. 15. THE ENDING WAS ACTUALLY STOLEN FROM SUPERMAN II. As production went on, Superman was helped out by increased financial support from Warner Bros., as studio executives grew more and more impressed with footage they received from Donner. 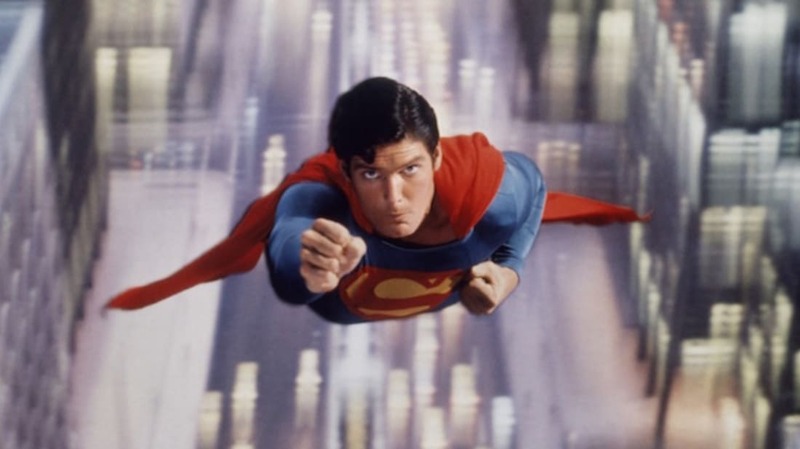 According to Mankiewicz, their favorite effect was the scene in which Superman flies into space and begins reversing Earth’s rotation in order to turn back time. Because the studio was determined to make Superman a hit, they wanted this dazzling effect to be the climax of the film. The problem was that the footage was intended to be the end of Superman II. According to Mankiewicz, the original ending of Superman involved the Man of Steel throwing a nuclear missile into space, at which point it would collide with the Phantom Zone prison containing General Zod (Terence Stamp) and his acolytes, freeing them and setting up the sequel. Well, because Warner Bros. was convinced there wouldn’t be a sequel if Superman didn’t work, they lobbied for Superman to reverse time to end the film, and Mankiewicz and Donner made it work. “We talked and talked and finally we stole it from Superman II and figured when we finished that, we would have come up with a new ending,” Donner said. 16. DONNER DIDN'T COMPLETE SUPERMAN II AMIDST INCREASING TENSION. As Donner continued to fight with Spengler and the Salkinds over budget and scheduling issues, the Salkinds drafted director Richard Lester (A Hard Day’s Night) to act as a “go-between” for both parties. Lester assured Donner that he was there to help, and Donner requested that Lester have no part in the actual production of the films. The Salkinds then turned to “go-between” Lester, and hired him to finish Superman II. Lester reshot, and sometimes even rewrote, portions of the film (Mankiewicz, loyal to Donner, refused to return to work on the script). “They hastily rewrote a lot of scenes with Chris and I,” Kidder said. Decades later, Donner’s previously shot footage for the film was restored and re-edited into Superman II: The Richard Donner Cut, and previously unused footage of Brando as Jor-El was incorporated into Bryan Singer’s sequel to Superman II, Superman Returns (2006).